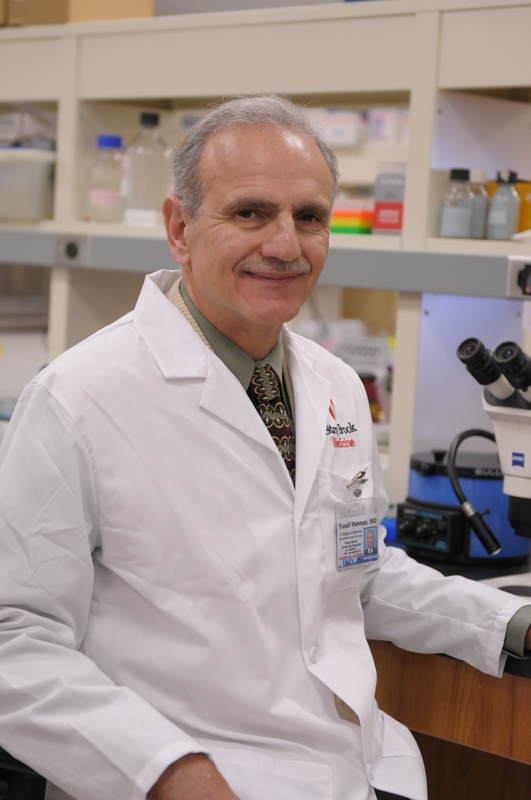 Yusuf A. Hannun, MD, is the Director of the Stony Brook University Cancer Center, Vice Dean for Cancer Medicine, and the Joel Strum Kenny Professor in Cancer Research. Dr. Hannun is an internationally known researcher in the area of lipids, protein kinases, and signal transduction. His novel contributions to science in the field of lipid biology have opened up a new field of investigation centered on the study of sphingolipids and their roles in cancer biology, inflammation, and cancer therapeutics. Dr. Hannun has published approximately 500 scientific manuscripts, edited 7 books, and authored 7 patents. He has received numerous national scientific and professional honors, including election as a fellow to the AAAS, election to the AAP and ASCI, the Malinckrodt Scholarship, and the Pew Scholarship in Biomedical Sciences. He currently holds multiple grants from the National Institutes of Health. He is also the principal investigator on a 10-year program project grant from the National Cancer Institute. I became highly interested in cancer medicine during my medical education. This decision continues to be driven by the devastating effects of cancer on family and friends. Early on in my medical oncology training three decades ago, I came to realize that the prevailing approaches to cancer treatment were grossly inadequate, and that future treatments needed radically different approaches to how we understand cancer. This led me to a path of very basic research into how cells function, and how these mechanisms are distorted and co-opted by cancer cells. I came to an important juncture in my career, where the convergence of parallel pathways propelled me to seek a key role in cancer medicine. First, I became “ready” to assume a role that enables deployment of multiple, cutting-edge approaches to cancer medicine and research, coupled with mentoring and development of collaborative efforts. Second, our group’s long-standing research had come to a point where it needed to be applied to cancer medicine. 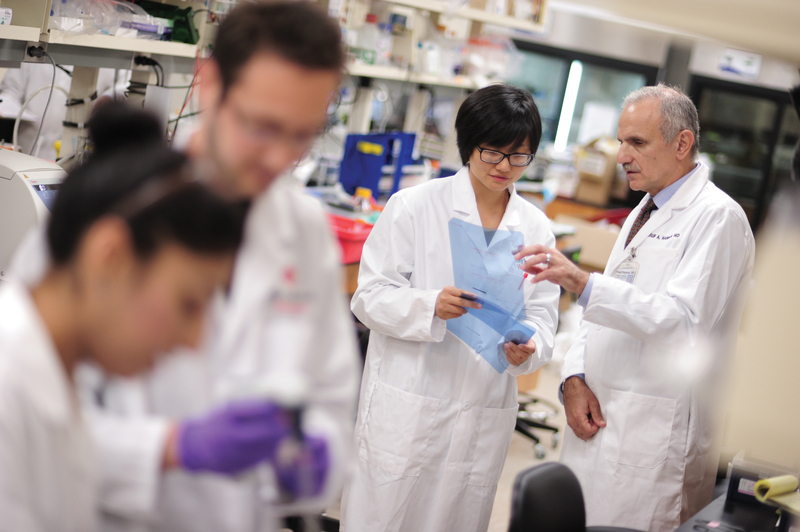 Stony Brook had just begun a renaissance in biomedical research, led by the President Stanley and Dean Kaushansky; new strategic planning had also identified cancer as a top priority for research and clinical activity. It became very clear to me that Stony Brook was the place to immerse in cancer medicine, and try to effect major changes that enabled significant inroads in this area. This decision was further bolstered by the dynamism and aspiration that permeates Stony Brook to move forward. Getting people together to define bigger, more important problems in cancer that are usually beyond the ability of individuals or small groups. Also, working with many sincere and committed people in cancer medicine and research, including physicians, nurses, and staff. I would like to see the Cancer Center provide novel insights into how cancers arise and progress. I would also like to see us accelerate the development of novel diagnostics and therapeutics and to enhance the health of our community. I can see more focused research in cancer, and more “rationally developed” therapeutics that are based on our increasing understanding of how cancers develop. Cancer is a complex and diverse group of diseases. Concerted effort and investment are critical for an ultimate victory against all cancers. This requires the participation and support of all those who care about defeating the disease. Do you have an interest you are willing to share, outside of work? I play classical guitar. I have played for several years; I’m only semi-decent at this point. I play some Albéniz, Sor, and more contemporary composers such as Lauro and Lerich. I also play Beatles music adapted for guitar. It is relaxing at the end of the day.